Iranian Foreign Ministry Spokesman Bahram Qassemi has hailed the local and municipality elections held in Turkey, describing them as massive and successful. In a Monday statement, Qassemi congratulated the Turkish government, nation and political parties on holding massive local and municipal elections successfully. “The peaceful holding of the local and municipality elections as well as the massive turnout of Turkish citizens serve as another sign of the rule of democracy in the brotherly and friendly country of Turkey,” he said. “We wish welfare, prosperity and development for the Turkish government and people in the wake of the results of the elections,” he noted. It goes without saying that the establishment of democracy in regional states is the only guarantor of independence, security and stability in the whole region, Qassemi added. 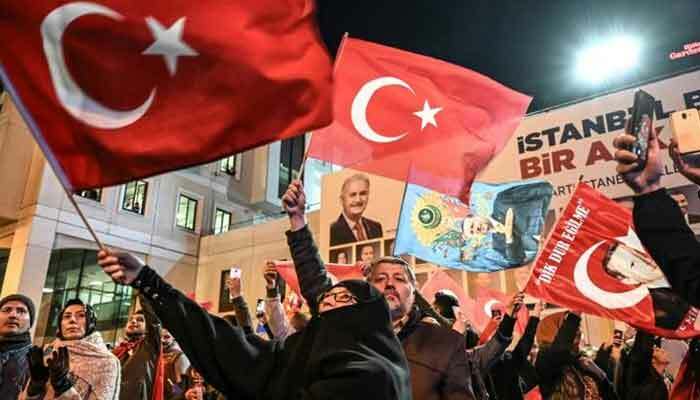 Millions of people in Turkey flocked to polling stations on Sunday to vote in local elections, seen as a gauge of support for President Recep Tayyip Erdogan. Turks voted to elect scores of mayors, municipal councils, and other local officials. Some 57 million people were eligible to vote. President Erdogan and his Justice and Development Party (AKP) have won every election since the party first came to power in 2002. The latest victory of the ruling party came in April 2017 after the public voted in a referendum in favour of the adoption of a presidential system that expanded Erdogan’s powers.